Toxoplasma gondii (T. gondii) is a worldwide distribution infects a wide variety of mammals, including humans. The present study aimed to detect the efficacy of soluble and whole T. gondii antigens propagated in specific pathogen-free of embryonated chicken egg (SPF-ECE) used to improve the potency of serological assays for diagnosis of toxoplasmosis in equids and human. Total of 220 serum samples from 170 equids (90 donkeys and 55 horses and 25 mules) and 50 humans were collected from different governorates in Egypt during the period from October 2017 to March 2018. Crude T. gondii tachyzoites antigens from low or high passages propagated in mice or SPF-ECE was used for modifying some serological tests. The experiment showed that the mortality rate of T. gondii for 103 and 104 low passages were 6/8 (75%) and 7/8 (88%) dead embryos but, lower mortality rate in high passage T. gondii were 4/8 (50%) and 5/8 (63%) dead embryos, respectively. No mortality or inflammatory signs were observed in control of negative groups. In equids sera were examined by S-ELISA using soluble T. gondii antigen propagated in SPF-ECE showed the highest positive results 26 (28.8%), followed by LAT 37 (22%) and MAGPT 36 (21.17%). While, W-ELISA and IFAT used whole T. gondii antigen prepared in SPF-ECE were 35 (20.58%) and 28 (19.41%) showed highly positive results than the same test used the whole antigen prepared in mice. 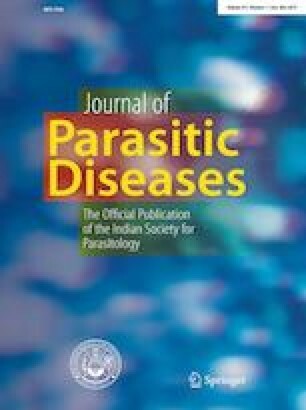 The highest seroprevalence of T. gondii in human and donkeys were 19/50 (38%). and 26/90 (28.88%), more than mules were 6/25 (24%) and horses were 9/55 (16.3%) examined by S-ELISA respectively. SPF-ECE is considered an appropriate experimental model for isolation and propagation of T. gondii tachyzoites, and their soluble antigens used in serological tests (S-ELISA, LAT, and MAGPT) have sensitivity and specificity more than the whole antigen and provided reliable diagnostic tools for detection of toxoplasmosis in human and equids. Dr. GSGZ: Research idea, planned the study design, performed data, and, field animals samples collection, serological and propagation of toxoplasma in SPF-ECE, laboratory work, and drafting the paper. Dr. AMA: sharing in the conception of the research idea, field animal’s samples collection, sharing designed work, identification of T. gondii, sharing serological test and and participated in drafting the manuscript. Dr. MAH and Dr. RMS: involved in samples collection, laboratory work, interpreted the data results, and helped in manuscript preparation and designed work and participated in drafting the manuscript. All authors read and approved the final manuscript. The study was approved ethically by Medical Research Ethical Committee Research, National Statement on Ethical Conduct in Human and animals Research at National Research Centre, Egypt under registration number # 19-030#.